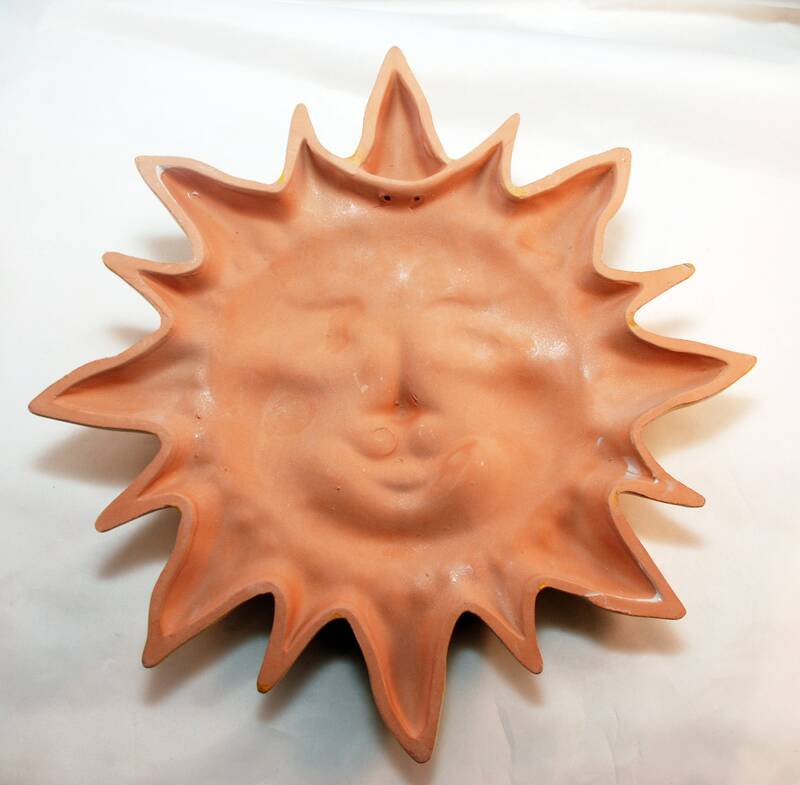 This decorative sun is 100% made of natural terracotta. It was made in Aci Sant'Antonio, on the east coast of Sicily, right on the Etna volcano mountain-slope. 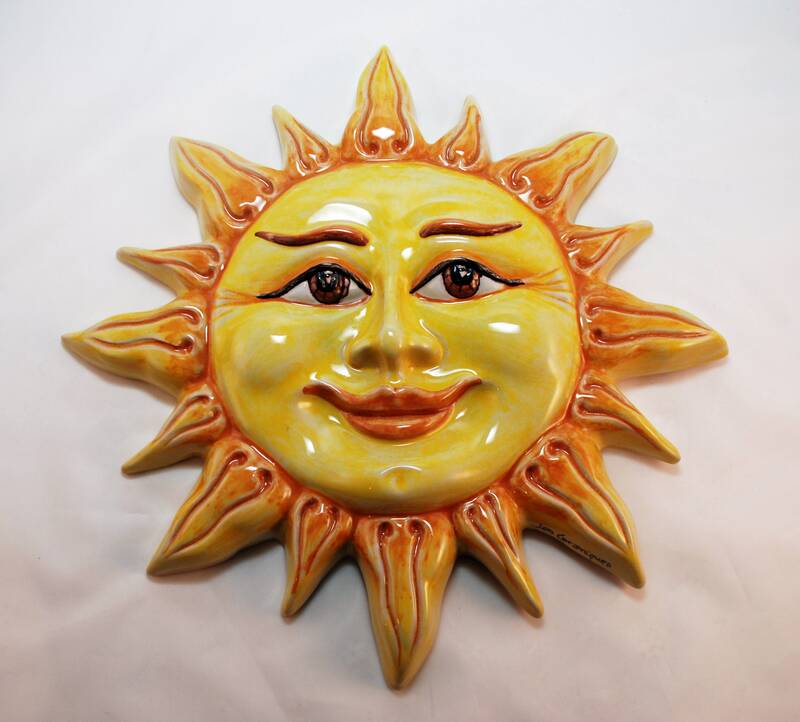 This sun will look great in your kitchen, entryway, living or dining room. 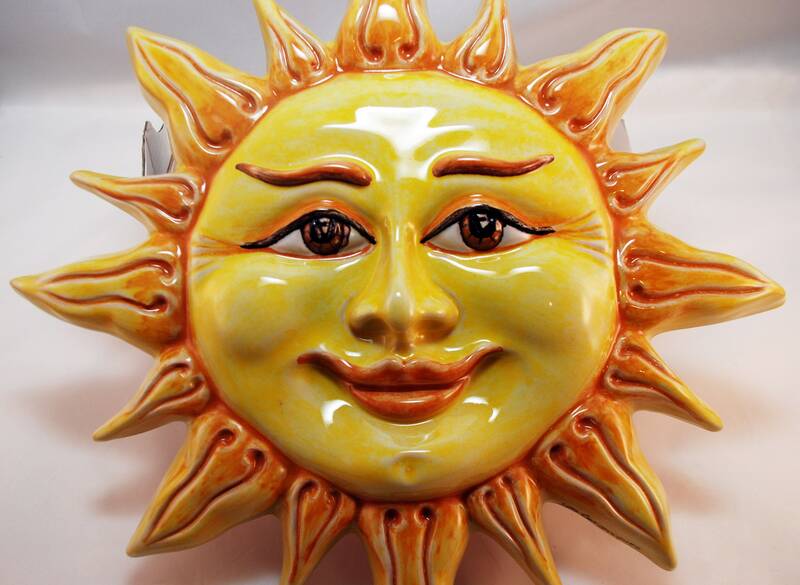 Suitable for indoor/outdoor. 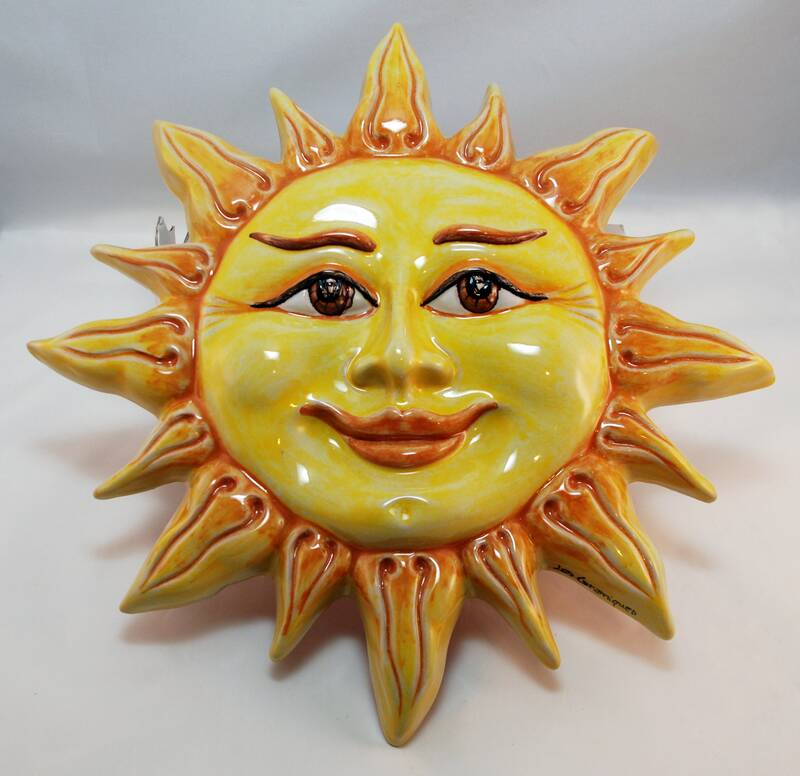 Great gift to remind someone of their Sicilian origins. Very common decoration on the island. Dimension: 12.5 in x 11.5 in x 2 in. Net weight 1 lb 14.5 oz.